We're very proud to announce our new range of animal free material options so our customers can now design vegan women's shoes! Certified by The Vegan Society, our new range includes eight fabrics free of animal products and testing. When our customers design a pair of shoes using all vegan materials, we'll automatically use vegan lining in the shoes. And we've had all our glue and other manufacturing materials tested and certified vegan as well. It's been a been a long time in the making and wasn't a simple process to go through, but it's been a highly requested feature (sometimes very passionately!) and one I've personally wanted to offer since we launched the business. Thanks to everyone who kept recommending this to us along the way, particularly Marion Isobel, Lara Furst and Christine Knight who suggested this to us from very early on, as well as some of the other inspiring vegans/vegetarians in our lives - Cameron Elliott and Emily D'Ath amongst many others. And thanks to the people on our team who made this happen: Dave, Mel, Steph, Susie, Helen and Jade. 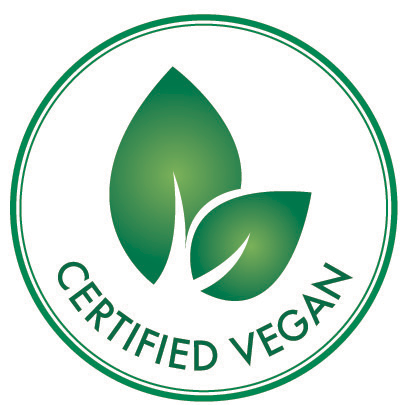 Free of animal ingredients - The manufacture and/or development of the product, and where applicable its ingredients, must not involve, or have involved, the use of any animal product, by-product or derivative. Free of animal testing - The development and/or manufacture of the product, and where applicable its ingredients, must not involve, or have involved, testing of any sort on animals conducted at the initiative of the manufacturer or on its behalf, or by parties over whom the manufacturer has effective control. UPDATE: We've added additional vegan materials, had our vegan range approved by PETA (People for the Ethical Treatment of Animals) and launched a page with additional information about our range of vegan shoes here.